Elytra’s App Store status has been quite a weird roller-coaster ride for me. I’ve had my fair share of odd App Store rejections in the past, but none like this one. After going in to the In Review status, the App was rejected a few hours later for including Auto-Renewable subscriptions. This seemed odd considering all the information Apple requires apps to be displayed on the Purchase screen was there. Turns out, that was not case. The subscriptions were rejected because they were, “Not valid use of the service”. Upon presenting my case in the resolution centre that Elytra was adhering to all rules as laid out by the App Store Guidelines, I was once again told that this was invalid use of the service. The reviewer recommended that I instead use a Non-Auto Renewing Subscription. At this point I decided to write an appeal to the App Store Review Board and see what happens. The In-App Purchases are back to being In Review and the app itself is now Waiting for Review.. The account on which Elytra is being reviewed expires shortly. I have a new account all set up and ready to go and I don’t plan to renew the existing account if the app does not pass review. I’ll setup and resubmit the app from the new account. However, if by some miracle, the app does pass review now, I’ll promptly renew the account and continue using it. If this happens, I have nothing else to do. I upload the website and release the app. TestFlight access to the app will cease. Since I’m setting up a new app, it will no longer use data from the old app. Your subscriptions will be safe and you can simply setup the same account in the new app. I’ll have to implement a Non-Renewable Subscription which isn’t the best user experience considering you’ll have to manually renew the subscription every month, 3 months or year depending on your subscription type. So I hope things work out for Elytra as it stands right now. Setting up a new app will be incredibly tedious to say the least with a lot of undesirable effects. 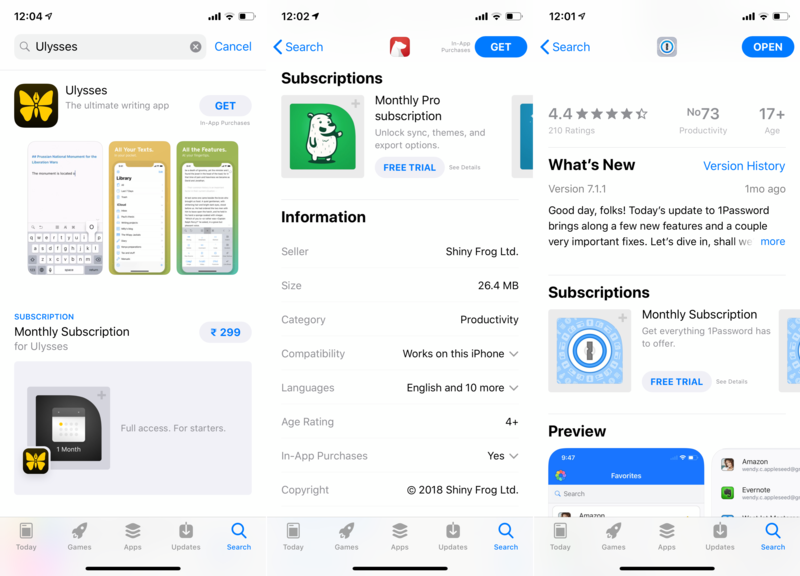 I simply wonder why the Review Team is rejecting Elytra’s use of Auto-Renewable Subscriptions when prior art for the purpose exists in the App Store. Heck, its even promoted in Searches.